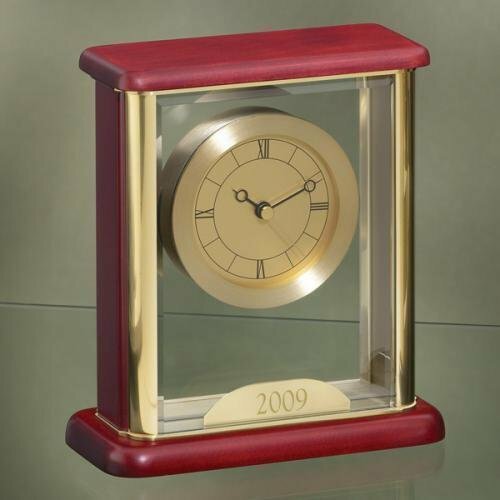 This satin finish wood clock award is encased by two pieces of glass measuring 6 3/8" wide x 3 1/8" deep x 7 1/8" tall with small engraving plate included. Glass panels are beveled and secured by beautiful brass metal edges. 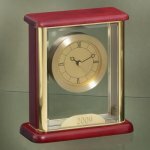 A stunning clock gift award for employees, sales persons, boss or secretaries and executives. Display on a desk, a bookshelf or a mantle piece.